The fighting between the pirates and the Marines continues as Sengoku and Garp fight Blackbeard, and the Marines are determined to eliminate the fleeing Whitebeard pirates. 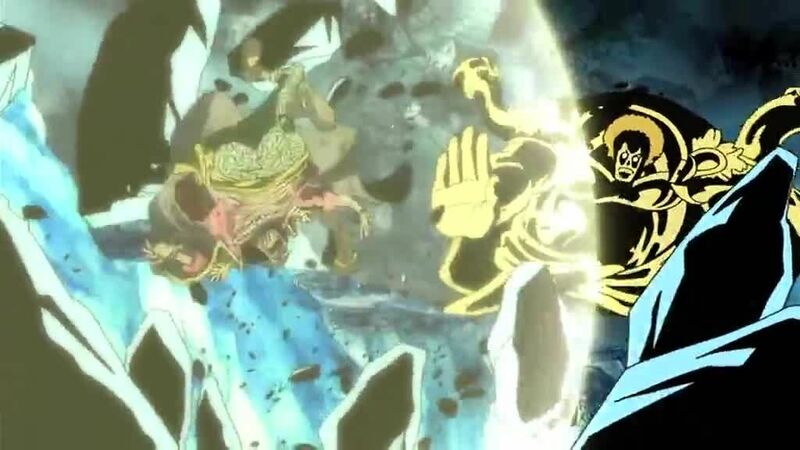 Kizaru attacks in an attempt to prevent Law from escaping with Luffy and Jimbei. Coby, having developed the ability to sense the voices of those fighting, becomes overwhelmed by all the violence, and screams that fighting is unnecessary and only risks the lives of many soldiers who have families. Akainu tries to kill him, but Red-Haired Shanks arrives, blocks his attack and reveals that he has come to end the war.